Below, you'll find information that will help you get to know us better from references from past clients. We consider the satisfaction of our clients to be our greatest achievement, and take pride in our high volume of repeat business and referrals. Call us today we'd love to add you to this growing list! Thank you Bob and Linda for selling our house so quickly and then finding us the perfect family home with everything on our wish list. You went above and beyond for us and it was a great experience working with you. We will definitely recommend you to all our friends and family. Without hesitation choose The Chancey team. Honest, dedicated, motivated & professional in every way. We truly had fun dealing with Bob & Linda during what can be, a stressful time selling your home. 100% recommend and would be our go to realtor should ever we need again. Thank you Team Chancey, our dream became reality with you. I recently needed to sell my parent's Ladner home and interviewed three local Realtors from South Delta. I chose Bob and Linda Chancey because of their marketing plan, pricing and experience. I was the owner of Summerland Realty for 35 years and I am well acquainted with what it takes in a real estate professional to get the job done. I would strongly recommend Bob and Linda Chancey to sell your home. I have been a Commercial Real Estate Agent for over 10 years and I have lived in Ladner for 15 years. When it came time to sell my home in Ladner I knew that I only needed to make one phone call because the right choice was to call Bob and Linda Chancey. I would recommend them with no hesitation! I have had the pleasure of buying and selling homes with Linda and Bob Chancey over the last few months in 2017. The service has been outstanding. Linda and Bob toured us through available homes, in many cases returning to look a second time at the preferred options. They were always available, willing to provide backup information as required and helped us negotiate a successful purchase. For the sale process, they advised on how to “stage” the house, provided market intelligence, aggressively marketed the property and reached out extensively to agents to find the eventual buyer. They were available day and night and always took time to make sure all questions were answered and any concerns quickly addressed. I can say that I feel the same way today as I did the first time I used the Chancey’s for a house sale in 1993 – fully satisfied and willing to recommend to all my friends. Thank you to Linda and Blake for selling my house. I could not have been happier with the service they provided. They always kept me informed and right from the very start I knew I had picked the right team - Linda always had a smile on her face and a positive attitude to selling the house. The professional photos were amazing and the listing information was very informative. When the house sold Linda spent time going over everything to make sure I got the best deal possible. It was a pleasure to work with such a professional team and I would have no hesitation in recommending them. We used Blake as our realtor. He was awesome! He was always patient and wanted us to be happy at all stages of selling and buying! He sold our house fast and helped us find our perfect forever home. He Always had our families best interest at heart. Our small son was obsessed him and loved the days he got to see Blake and his white truck! 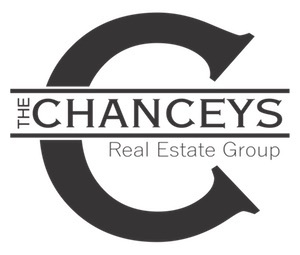 We recommend Blake and the Chancey team to anyone buying and or selling. We are forever grateful for his hard work and can't wait to have him over to our new house for a celebratory drink in the backyard! Linda was absolutely fantastic! I would highly recommend The Chanceys! Fantastic realtors! Very professional and knowledgeable! My husband and I had Blake help us find our 1st home. He was patient and kind while I figured out what we needed as a growing family and he helped us find the perfect home. We will for sure be calling Blake if we ever outgrow our home and need to move. They are the best!!! Several years ago, the Chancey team quickly sold our condo in richmond while finding an awesome home for us in Ladner! It was a whirlwind of information, buying and selling simultaneously, but they kept us focused and calm throughout this exciting time. We used Blake and the Chancey team to purchase our first home, and were impressed with their dedication to finding exactly what we wanted, where we wanted. We ended up getting way lower than asking price, and we got money back from the flex rate group's cash back deal to boot, which helped out huge with reno's. Overall extremely satisfied. Blake was great to work with. told him what we were looking for and through trial and error we finally found it. he was very organized and honest through the whole process and because of which me and my family now have an awesome home in Ladner. Thanks Blake for everything and if I know anyone looking to buy/sell in your area, I would proudly send them your way. Best in the Biz!!! Thanks for finding us our first house. The standard for Realtors in the Lower Mainland, the Chancey Team brings professionalism and a stress free environment when making this important buying and selling decision! I can't wait to use you guys when I eventually move back home to the West Coast! Keep up the great work guys! Great people and the new way of feeling comfortable selling your property! Keep up the great work guys!! !